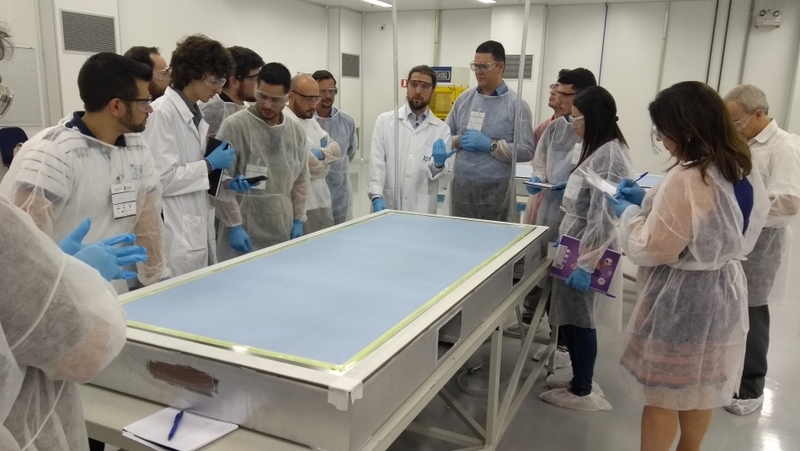 The 2nd Sampe Brazil Advanced Composites Week ended on October 6th with a training offered by the Lightweight Structures Laboratory from IPT. The training took eight hours, focused on the application of prepreg composites in lightweight structures, from a theoretical and practical point of view. The instructors were the researcher José Everardo Baldo Junior, from IPT, and the engineer José Maria Fernandes Marlet, an ex-Embraer employee. There were 14 participants, from universities and companies, including Avibras, Barracuda Advanced Composites and Texiglass. The material used on the practical classes was provided (free of charge) by Texiglass, and the lamination was done in the clean room of the laboratory, followed by the allocation of the vacuum-bagged laminates into an autoclave for the curing process.